Students have four hours of French per fortnight in Key Stage 3 at Upper Wharfedale School. All students then have the opportunity to continue at Key Stage 4 with GCSE French, should they wish to do so (6 lessons a fortnight in Year 10 and 5 lessons a fortnight in Year 11). Throughout their time at school, we try to give all students a broad understanding of French culture, as well as language, communication and grammar. Students are encouraged to embrace internationalism and to think about the importance of language learning in the wider world. Year 7: Students focus on basic language, working from single word to sentence and short paragraph level. Year 8: Students focus on the beginnings of more extended text work, and start to have an understanding of tenses. Year 9: Students focus on becoming more secure in working in three tenses and giving more complex opinions in preparation for the GCSE course. Looking at each skill (listening, reading, writing and speaking) in preparation for the exams. Year 10: Modules 1-4 are usually covered in this time. Year 11: Modules 5-8 and exam practise is covered in this time. KS3: Students are internally formally assessed 5 times during the year in at least one skill (listening, reading, writing and speaking). KS4: Each module is formally assessed in at least one skill and all students sit an end of year exam in all 4 skills (listening, reading, writing and speaking) and are formally assessed internally in June in Year 10. 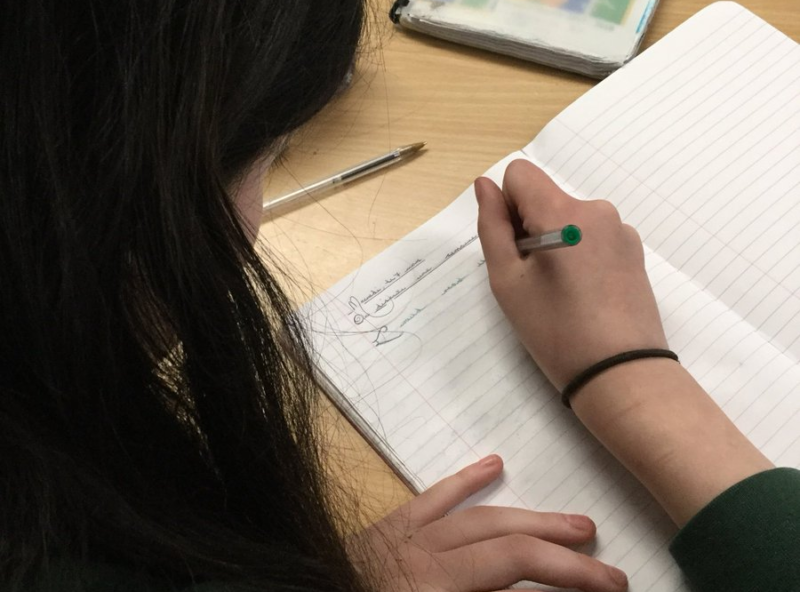 In Year 11, students sit internally marked mock exams in November/December before sitting the real exams in May. All papers are now externally marked and assessed but the speaking is conducted and recorded internally. KS3: Work can include learning of key vocabulary (spellings and meanings), short written or reading tasks, project work or revision for a speaking exercise. It is set once a week for about 20-30 minutes. KS4: Work can include learning of key vocabulary (spellings and meanings), longer written or reading tasks, project work or exam revision, grammar work or preparation of speaking answers. Nearer the exams it can include the completion of practise exam papers. It is set once a week for at least an hour. Each year there is a trip to France offered to KS3: this year students are going to Northern France to take part in a variety of cultural, sporting and historical activities, as well as having the opportunity to practise their spoken French. We also always take part in activities in class for European Day of Languages in September.